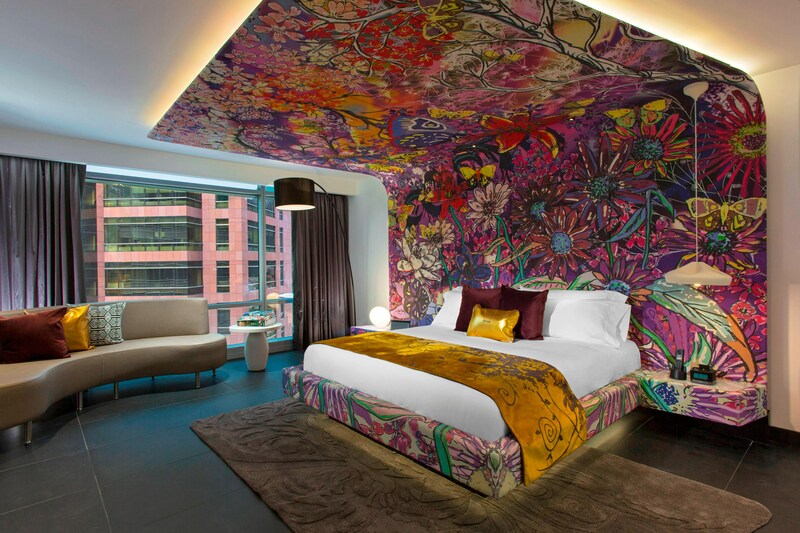 Electrify your stay in Colombia&apos;s capital at W Bogota. Centrally located near embassies, restaurants and boutiques in the upscale Santa Barbara neighborhood, it is a glittering destination near top shopping and entertainment venues. Recharge in our state-of-the-art FIT gym or at AWAY® Spa. 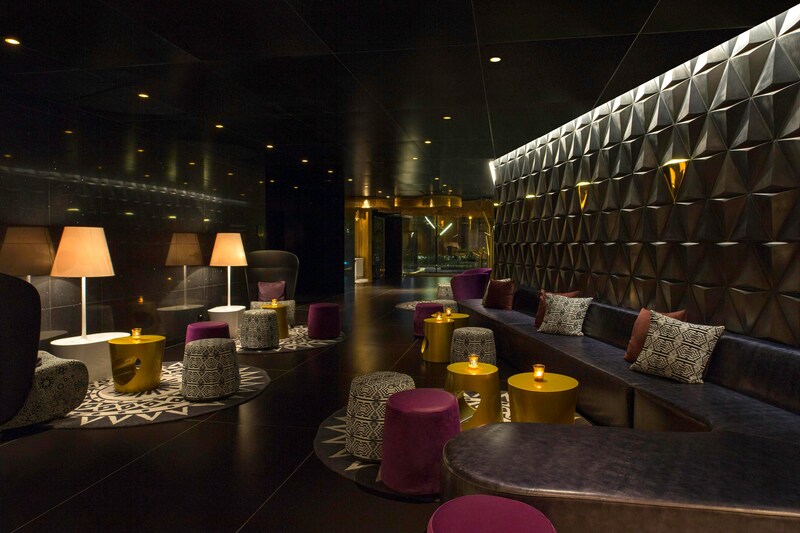 Celebrate every day at the eclectic Market Kitchen restaurant and every night at W Lounge, our glamorous bar. Or host an event in more than 425 square meters of dynamic, fully wired meeting and event space. Bask in the visionary modern decor of our 168 guest rooms, including 33 suites and an Extreme Wow Suite. Inspired by the legend of El Dorado, each unites state-of-the-art technology with a signature W Bed. Whatever/Whenever® service takes care of everything else. 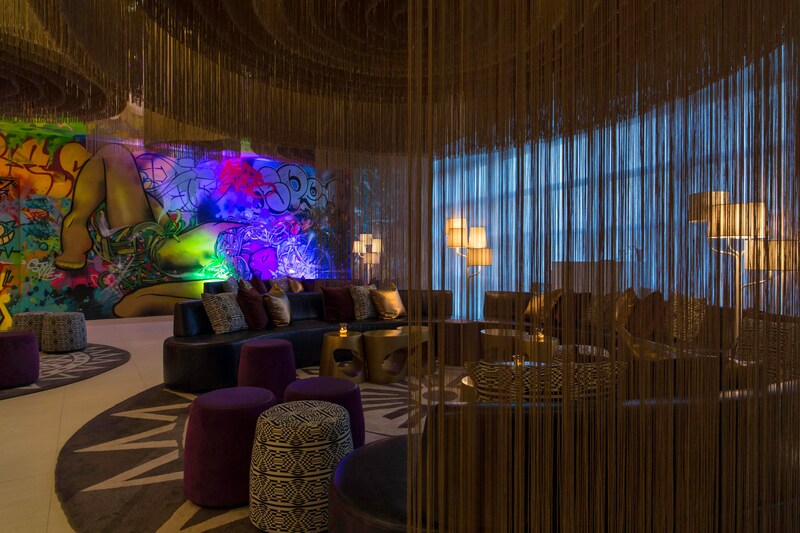 Steal the scene at W Bogota, the most stylish hotel in town, and experience the glamorous side of the ancient legend of El Dorado. 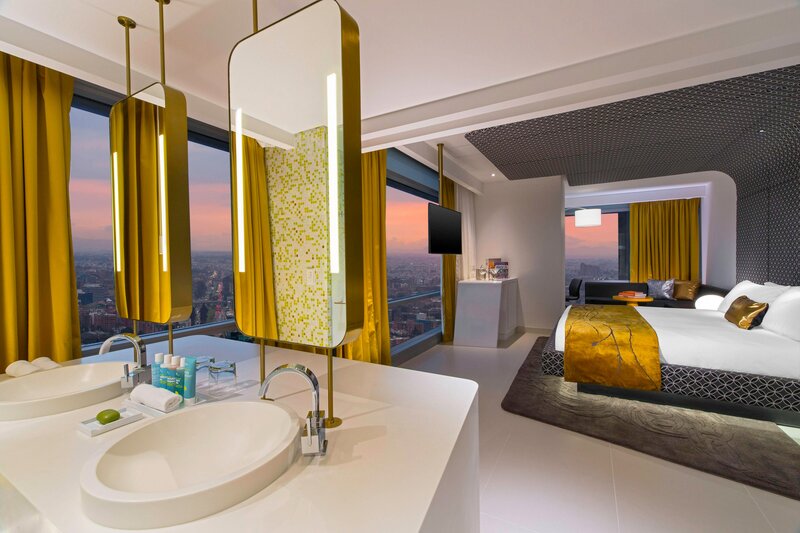 The unmistakable design elements and a glittery golden atmosphere illuminate the most vibrant location in town, where possibilities are endless and style is everywhere. W Lounge - The place to be! Dive in the legend and cover in gold dust while tasting the best drinks and music in Bogota hottest spot. 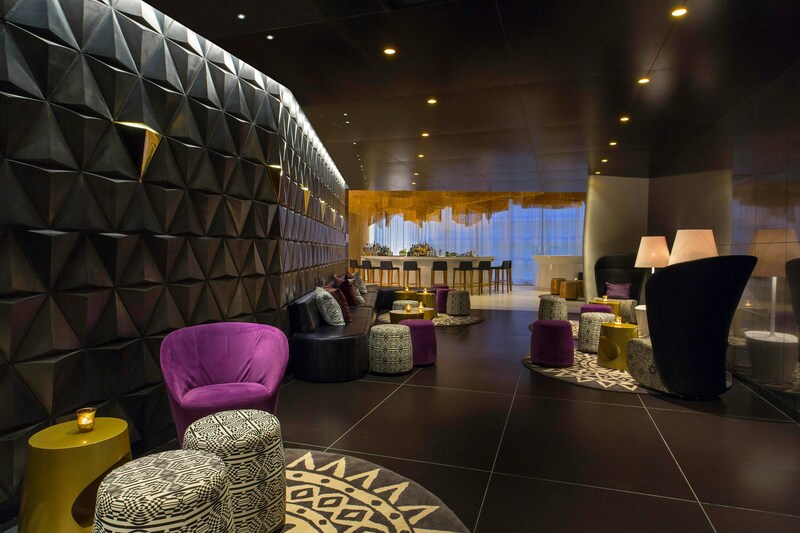 Our W Lounge is your living room, the perfect place to meet during the day and to play at night. Sip on an indigenous Lulo Mojito or a Ginger Margarita, our signature cocktails. Groove to the latest W Music or get a cyber-rush with complimentary High Speed Internet Access. You won&apos;t want to miss a thing. And you won&apos;t have to. Detox in an electric yet delightful spot that will connect your senses. W Bogota accommodations include one of a kind guest rooms that are perfect for an ideal getaway. Our E-WOW Suites have both an interesting and special design. Revel in the exhilarating open-plan guest rooms and suites of W Bogota, where vibrant décor, floor-to-ceiling windows, and visionary amenities elevate every stay. 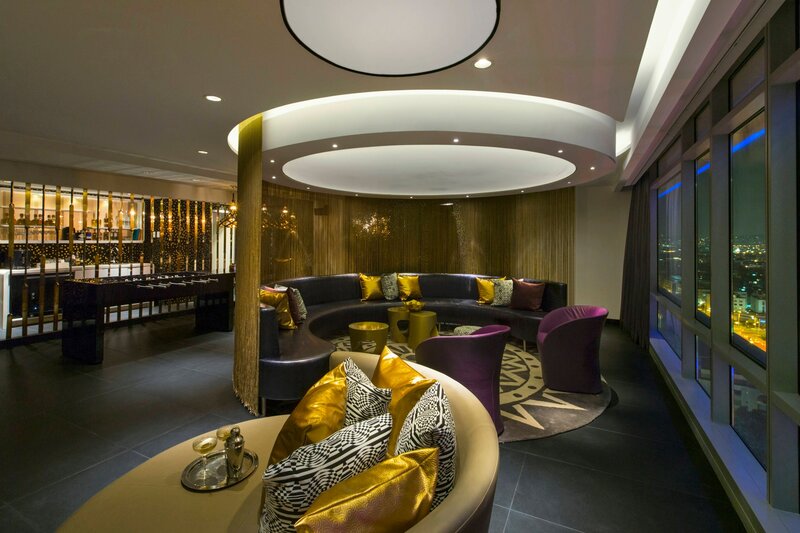 W Bogota is located in the exclusive Santa Barbara Business area, next to Usquen district.